This (Private) tour starts any time you say! Come and smoke Jamaican! or just look and take pictures Yeah Mon!! Drive time from negril hotels approximately 30 mins in the hills, please wear hard shoe as you will be walking on a little rocks, from the farm to negril Ricks Cafe is approximately 25 mins, There is no specific time frame for the farm but normally its like an hour time spent on the farm. You can purchase at the farm dispensary. If you are in the montego bay area please book on that website link in Tours Thanks! You chooses your pickup time from your Hotel. 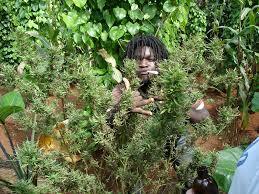 Ganja Tea is available upon request, please state if you need while booking on the website. Here in Jamaica its legal to have 2 ounce of marijuana on you per persons for recreational purposes, also their are licence farm by the jamaican government to grow marijuana since year 2017. Book your private Airport transfer with us and get 10% off this tour.